Maybe your youngest child just moved out or maybe you just received a great job offer in a city across the country; whatever the reason, it’s time to sell your home. Many homeowners don’t know how to begin this process, or where to turn for answers to their questions. 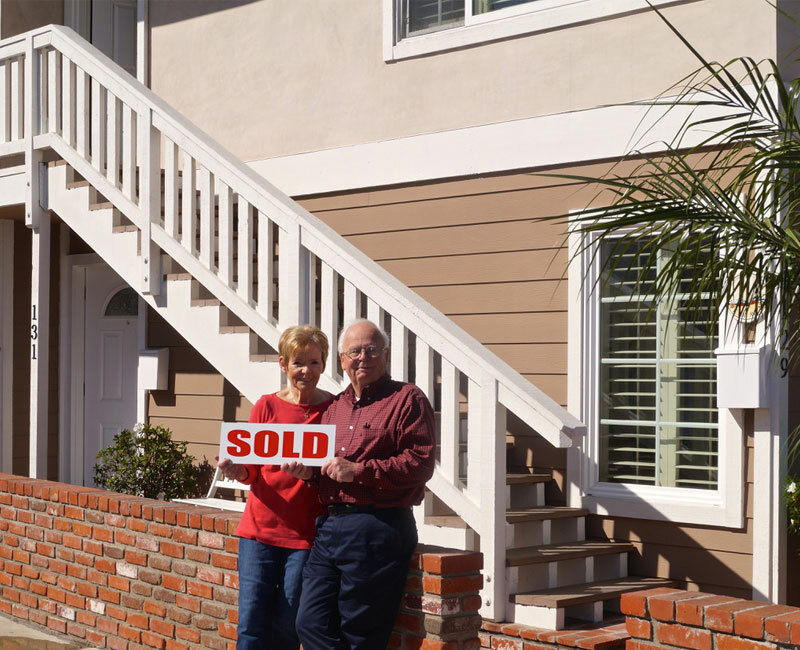 It’s wise to examine the selling process one step at a time, from evaluating the market to closing the deal. Before you begin to consider prices and brokers, it’s smart to become familiar with the current local real estate market. This will help you determine the best timing for your sale. Traditionally, the peak buying season in the United States falls between April and May of each year, with stronger-than-average sales continuing into July before tapering off in autumn. Buyers can typically move more easily during warm and mild weather, and families with children do not have to worry about interference with school schedules. Even tax refunds contribute to the surge in buying this time of year. Of course, selling in the winter may have its perks as well, as your home will not “compete” with as many others on the market. Regardless of when you decide to sell, it’s obviously very important to determine the possible profit or loss from the sale of your home. What is your mortgage situation? Can you secure an asking price higher than what you originally paid for the property, or higher than you currently owe? You may want to create a post-sale plan that includes an escrow strategy and your post-sale plans – like whether you’ll be buying or renting, and what your budget is for either. Both options produce different financial outcomes, so you may have to adjust your selling strategy based on your new home’s monthly rent or listed value. Real estate agents and brokers can help you determine an asking price for your home as well as advertise the home on the market. They can also play an important part in the negotiation process. Be sure to interview agents to determine their specific marketing plan for your home, their familiarity with your neighborhood and their respective fees. For example, you might find an agent with a lower commission rate, but they may be less familiar with your neighborhood. Determine what qualities are important to you and “interview” them until you find the right fit. For personal or financial reasons you may decide not to hire a real estate agent. While this method may be less costly, there are many challenges to selling a home by yourself, so think carefully before making this decision. Arguably, the hardest part of a sale by owner (FSBO) is correctly pricing your home. You will want to examine listings in your immediate area (within a half mile of your home) to get an idea of the average home value in your neighborhood. From there, you should compare square footage, neighborhood barriers like roads and train tracks, etc., to come up with an asking price. Obviously, the features and condition of your home will also come into play. If you’re willing to spend a little money, you may want to hire an appraiser to advise you on the value of your home. It’s also essential to market your home effectively. Potential homebuyers typically prefer ads that present straight facts, figures and photographs. Pictures of your house are integral to marketing, because they entice potential buyers to learn more about your home or even request a viewing. Be sure to photograph your house from all angles, and include multiple pictures of every interior room. It’s also easy and often effective to create a video tour of your home to upload online, because this can be more informative and captivating than simple photographs. You may want to consider running advertisements in a variety of publications, like local newspapers, real estate magazines, etc. Because many potential buyers search for homes online, you’ll want to list your property on as many free websites as possible. If it’s in your budget, you can invest in a real estate website that reaches a broader or more tailored audience. Advertising, however, is just the first step. You’ll need to act as the agent when you get calls on the property, and often arrange for either a private tour or a public open house. To prepare, try to picture your residence from the perspective of a potential buyer. If you need an objective set of eyes, ask a neighbor or a friend to help you out. Regardless of how you sell your home, you should make sure it is clean and orderly while on the market. Your front lawn should be clean and manicured, and preferably your side and back yard as well. As far as the interior of the house goes, try to arrange a showing when the least amount of family members will be home – this will limit distractions and allow you to focus on the potential buyer. All the rooms should be clean and tidy and as free from clutter as possible. This can help potential buyers picture their own belongings in the home. “Staging a home” is a fancy way of highlighting the best parts of your home. Following a few tips can help your home stand out among the competition without spending too much time and effort. The most common challenge associated with staging a home revolves around room size. Poorly organized furniture can make the largest living room look cramped, so be sure to arrange your decor in a way that opens the space. While you may not need an interior decorator, it might be prudent to get a few friends’ opinions and toy with different arrangements. Lighting is another important factor when showing a home. Rooms with large windows should always be shown first, because some nice sunlight can really make a space seem inviting. In addition, lighting should be installed in areas like basements where outside light cannot penetrate. If you have any paintings or pictures on the wall, consider a cheap, portable spotlight – a soft glow on the walls creates an attractive feeling. A fresh coat of paint can also improve the aesthetics of your home. The reason why so many landlords offer to paint apartments for tenants is that it masks chips, divots or dark marks on the wall. Don’t go overboard with a color scheme, however – neutral, uniform tones sell better than dramatic hues. You’ll also want to ensure your floors and countertops or tile surfaces are clean. Grout often accumulates dust over time, which can darken the color between tiles. A mild acid wash and a stiff-bristle brush can work wonders for tile. For hardwood floors, a wood soap like Murphys can add a temporary sheen that will distract from blemishes or other imperfections. If you need additional ideas, consult with your real estate agent to see if any specific changes are recommended. Imagine everything went great and you have received one or more offers on your home. What should you consider before accepting one of these proposals? You have three options ahead of you – you can accept an offer right away, negotiate a counter-offer, or simply reject the bid entirely. While unlikely, if an initial bid meets all your terms and offers an agreeable price, it may be beneficial to accept. Speak with your real estate agent for advisement as well as background information on the potential buyer. Making a counter-offer can be a delicate process requiring the utmost scrutiny, especially if you’re entertaining only a single buyer. You may want to set a bottom price that is non-negotiable, based on the current real estate market and appraised home value. Obviously, you never want to take a loss in profit, but sometimes this means waiting a few weeks or months for a better offer. You might be able to secure a higher asking price in a counter-offer if you state your intention to fix or upgrade certain aspects of the home. For example, if you spend $20,000 renovating the kitchen, you might be able to bump the price by $30,000 to accommodate for time and effort. This means a $10,000 profit. Finally, if you reject an offer, make sure to stipulate your reasons. This might spur the potential buyer into making a better offer, rather than simply turning them away. When you have accepted an offer, you’ll need to complete and sign the paperwork that comes along with the contract. Once the intention to accept is made, both you and the buyer enter a period called escrow – the time you will need to coordinate money transfers, inspections, and other details of the sale. Typically, the time between accepting an offer and move-in is 30 to 90 days. The first step is to schedule a tentative closing date that works for all parties of the transaction. This is the actual day ownership will be transferred, along with items like the house keys and deed to the property. Generally, it takes 3 to 5 weeks for this to occur. Preventative measures are necessary in case the deal falls through. The earnest money provided by the potential buyer should be held by your attorney or escrow officer (based on your geographic location) in an escrow account. In some areas, a real estate agent can secure these funds. A title insurance company will also be needed to research the title of the home and identify any ownership issues such as liens, contested property claims, etc. The mortgage or lending company will also need copies of important financial documents, including the purchase agreement that you must draft and sign. The lender will need to verify and record credit history and loan pre-approval. Before the sale is final, the buyer typically takes a final walk-through. If all repairs and property upgrades deemed satisfactory, it’s time to complete the home closing. At the final meeting, you’ll sign all final documents and pay any fees you may have accumulated during the selling process. Possible forms include warranty deeds, personal affidavits, bill of sale, a certificate of Real Estate Value (C.R.V.) and a proceeds check. Expenses might include – but are not limited to – agent/broker fees, attorney or escrow officer/company fees, title company charges, and legal fees. If you are in need of any assistance, contact Stacy & Nicole today!